Walker hand grips help to promote safety and comfort for seniors when they are using their walker. They prevent your hands from sliding and minimize shock to your hands, arms and upper body when you are moving your walker around. The key is to choose the handle grips for walkers the best fit your walker and your hands. We work to make the process of picking the right one easier. Here are five of the best hand grips for walkers. Works with multiple walker types and complements your chosen hand grips. 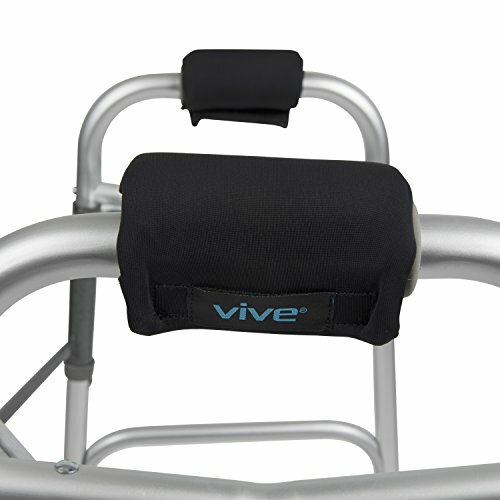 The Vive Walker Padded Hand Grip Covers help to reduce wrist and hand soreness for seniors who regularly use a walker for mobility. They feature a contoured foam that allows your hands to fit into it for optimal stability and grip. The shape and design of the handles allows for even distribution of pressure when you are using your walker. This is ideal for seniors with reduced upper body strength because it helps to decrease fatigue with prolonged use. The grips remain dry and cool even with extended use. The grips do not contain any latex, making them ideal for seniors with latex allergies. The material wicks moisture, and it is breathable. It is easy to place these hand grips on your walker using the hook and loop closer. These usually fit over the existing standard walker handles. Easy to install, antibacterial, and resists moisture. Easy to apply. Stretch covers over walker hand grips, attach hook and loop for instant fit. The Crutcheze Walker Padded Hand Grip Covers use a medical foam padding. They are relatively stiff, ensuring optimal support for your hands when you are using your walker. This feature also ensures greater support for seniors with a weak hand grip. The material is moisture-wicking, antibacterial and breathable. These characteristics keep them dry even when your hands are sweating. The antibacterial capabilities reduce the risk of germs accumulating and increasing the risk of illness. The grips attach instantly and secure into place with a hook and loop. This feature makes the grips easy to place even for those with arthritis. You do not have to remove the hand grips that are already on your walker to use these, saving you time when you put them on. Soft material and memory foam to ensure it works for your hand shape. 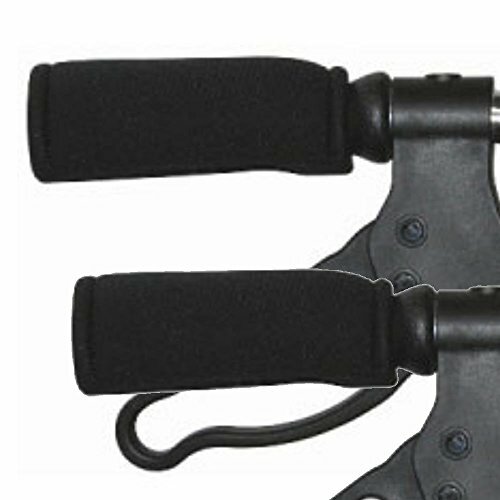 The Universal Crutch Hand Grip Covers are two-piece handle covers. They include a fleece cover with a memory foam core. You can remove the cover for cleaning. Place these grip covers over the existing handles on your walker. This ability makes installation faster and easier. Once you put them in place, use the Velcro to secure them. The memory foam contours to your hands with continued use. This foam allows for a stronger and safer grip. This foam will also make your walker easier to pick up when necessary. 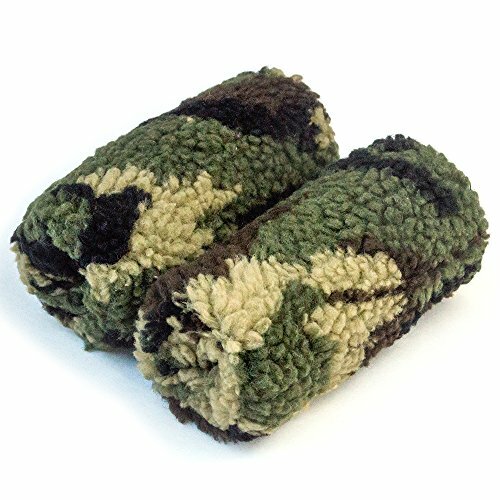 The fleece material is soft, and it absorbs moisture. It also provides warmth when you are using your walker in cold weather. This warmth can prevent cold-related discomfort that might occur when you have arthritis. An orthotic grip that contains a medical-grade material. SAFE & SECURE: A Zipper ensure a safe, non-slip fit for added protection and peace of mind. The Premium Rolling Walker Medical Grade Gel Handgrip Covers go directly over the existing grips on your walker. Put the gel into the covers and zip. Use the Velcro to attach the covers to your walker. The covers provide a stable gripping surface. The gel has orthotic qualities, making these grips a good choice for seniors with arthritis or nerve damage in their hands. The gel is on top of the grip, so it adds extra cushioning for your hands. The cushioning provides comfort for calluses, minor abrasions, and sores on the hands and fingers. It prevents skin chafing to ensure optimal comfort for your hands. These grips work for seniors with all hand sizes. Grip your walker to push it or lift it, depending on what you need to remain mobile. Easy to install for quick replacement. The Standers 2-Piece Replacement Walker Hand Grips serve as a replacement for your walker grips once they wear out. They are a direct replacement, so you do not have to adjust to using new walker handles after you put them into place. These are a rubber material, so they are durable and stiff. 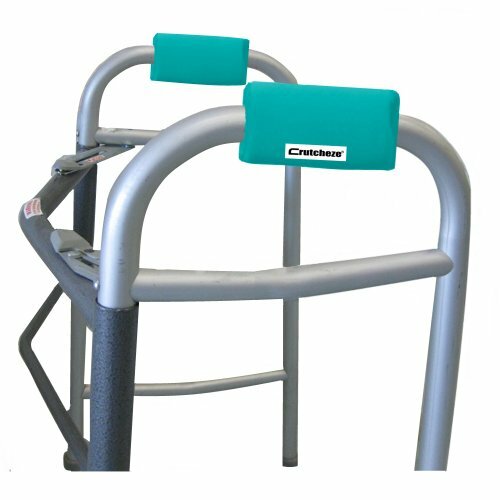 The stiffness provides stability as you push your walker around. They also make it easier to lift your walker when necessary. They are an average diameter, so they will work for all hand sizes. Since they are not too thin, seniors with arthritis will find them relatively easy to grip and hold onto. These fit over the existing handles on your walker, so there is no need to disassemble your walker to put them into place. They remain secure until you remove them, ensuring optimal safety when you are using your walker. When you get a walker, it will usually have a plastic hand grip. Plastic does not offer comfort, and your hands can slide when you are using your walking, increasing the risk of falls. Putting a new hand grip on your walker can make it easier to use to increase your mobility and independence. Replacing the hand grips on your walker can make it safer and more comfortable. Learning more about the options available ensure that you make the right choice. There are several types of hand grip types to choose from. Foam hand grips tend to be soft, and they offer adequate cushioning. This type is ideal for those with heavier or larger hands since it can accommodate your grip. Padded hand grips are simpler than the other options. They work for all hand types. They provide extra grip and cushion, but they are not overly soft. Gel hand grips are typically the most ergonomic. They provide a cushion, but they are not overly soft, allowing for a tight grip when you are using your walker. A larger grip is ideal for seniors who have nerve damage or arthritis in their hands and fingers. It is easier to hold onto a larger grip when your grasp is weak. Just make sure that the grip is not too large for you to hold onto. A smaller grip is ideal for people who need more stability when they are using their walker. You will be able to hold onto your walker more firmly since your hand will wrap around the grip handle completely. Some hand grips are just one material while others use at least two different materials. For example, the part of the grip you touch might be foam or gel, but the underside may be rubber. The rubber ensures that it grips the handles of your walker well to prevent slippage. If you need significant support from your walker, a grip that has a rubber underside can be a good choice. When you lean into your walker, the grips pads are not likely to move, reducing the risk of you falling when you are using your walker. Seniors with poor grip strength might consider a hand grips that have a pattern or texture. This feature makes the handles easier to hold onto when you are walking. This feature can be especially crucial when you have to lift your walker over obstacles on the floor. Some hand grips are a single gauge, while others have varying gauges, depending on the area of the handle. For example, the gauge may be smaller on the ends and thicker in the middle. A bulge in the center can provide extra cushioning, helping to provide comfort and easier for grip for seniors who have arthritis. This bulge can also offer better ergonomics when you are using your walker. If you want a simple handle that you can grab onto at any end, a single-gauge option may be the better choice. This is also ideal for those with smaller hands, and people who require a tighter grip. Using this information, you can evaluate your walker and determine the best hand grips to enhance your comfort and safety. Gripping can become painful and tiresome for seniors suffering from joint or muscle pain, so it is imperative to choose a set that provides lasting comfort and durability. You might be surprised to see the positive impact the right pair of grips can have when it comes to using your walker, and there are several products here designed to achieve just that.